This entry was posted on Tuesday, March 4th, 2014 at 8:20 pm	and tagged with Artist Blacksmith, Blacksmith, Boston, Carl Close Jr, Classical wrought Iron, Custom metalwork, Fashion Design, HammersmithStudios, Handforged Ironwork, Harvard Ironwork, High end Ironwork, iron Boston, Iron craftsman, ironwork Boston, Luxury ironwork, Newport Mansions, Newton MA, Newton MA.Blacksmith, Residencial architecture, Ritz Charlton, Rolls Royce, steel, wrought iron and posted in Uncategorized. You can follow any responses to this entry through the RSS 2.0 feed. 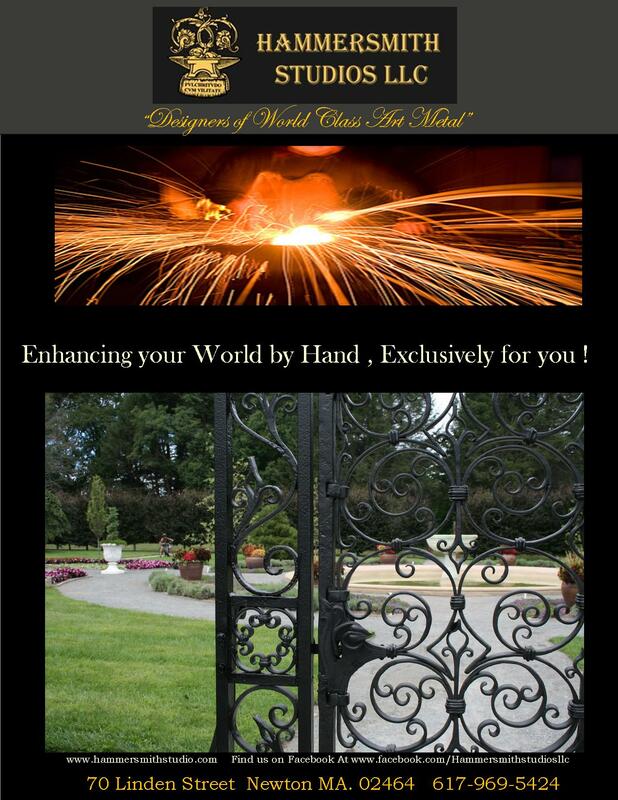 « How to hand forge a Wrought iron. Hobbit door hinge.